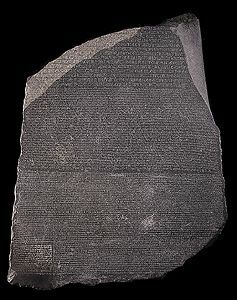 If I'm not mistaken, that's the Rosetta stone, which was so instrumental in unlocking the language of hieroglyphics. It had the same passage of text written in three different languages. All the migration demos worked!